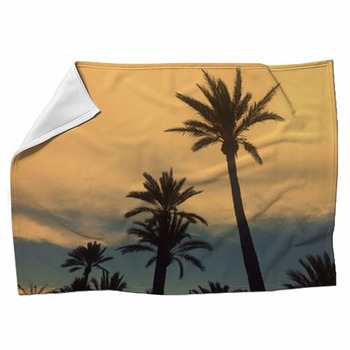 Warm up with a golden sunset behind palm trees silhouetted against a brass sky with a custom fleece bed blanket. 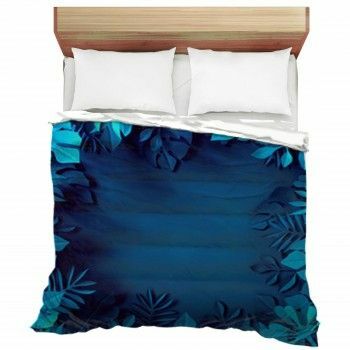 Walk along a sandy beach until the sun sets in the sky with your beach bedding set. 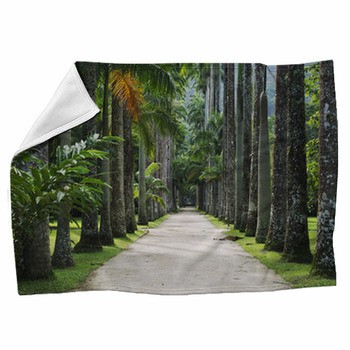 Leave a pale white sun sinking into blue seas on a palm tree throw blanket. 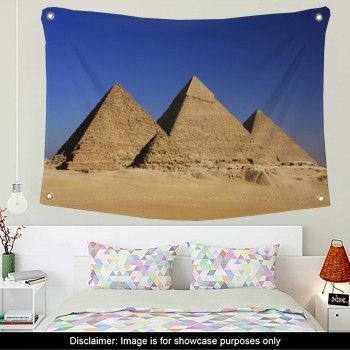 Stretch a palm tree towards a sail boat slipping over teal coral reefs in crystal seas. From that single palm over golden sand to stands of waving palms at the edge of untouched shores, these palm tree themed blankets give you everything but the setting sun to fashion your own silhouettes with. Silhouette a palm tree against Hawaiian hotels on panels of violet, lime, and orange. Get surfing into the picture with palm trees drawn against a gold and pink sun in teal and silver skies. 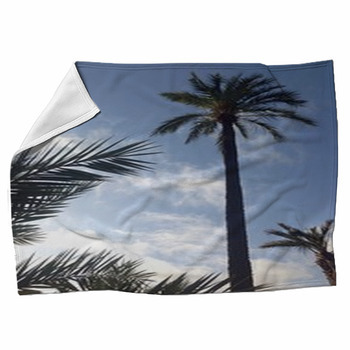 Hang a sun in copper skies above gleaming seas on a custom size palm tree bed blanket. Turn the sand red and drop the sun behind a branch of a palm tree. Slip into turquoise seas or walk along them on soft white sand around the point. Crack open a coconut and bite into fresh juicy creamy chewy tropical goodness. Contemplate swimming through turquoise and aqua to that emerald island out there. 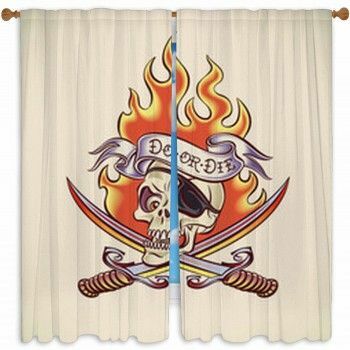 From wind whipped palms on white beaches to whirling pinwheels of green against turquoise, these palm tree themed blankets cover you with swaying leaves and slung hammocks. The sunset is up to you.